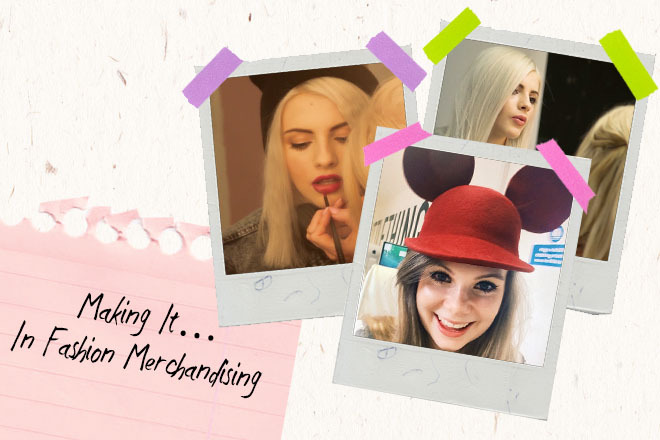 Ever wondered what it takes to be a Merchandiser? Well we sat down with our head of merch, Rach, and asked all the hard hitting questions to help you on your quest. Fashion Buying at Man Met. What made you want to work in fashion as a merchandiser? I’ve always had an interest in fashion, wearing bomber jackets and Adidas tracksuits before they were even fashionable. I was therefore determined to make a career out of what made me happy and, shocking, that turned out to be numbers and spreadsheets. Go figure. I started at Company magazine, doing an internship in my second year of Uni. This cemented my love for all things fashion, as well as a job in the head office of a high street retailer. I had followed PrettyLittleThing.com since their launch in 2012, so when a job came up I jumped/pestered for the opportunity. I start the morning obtaining and analysing sales from the previous day, communicating with Buying about incoming orders and stock replenishment. I then merchandise the website based on this information, working closely with the e-commerce team to ensure all categories are strong and represent current trends. Launching the Paradox collection was the first time I’d been part of a campaign from start to finish and it was so interesting to be a part of it (and fun, a lot of fun)! What are your top tips for someone wanting to work in fashion merchandising? A fashion office is fast paced so use every opportunity you have to make it as easy as possible for your potential employer to employ you and be persistent, real persistent. Pack all the isotonic energy drinks and paracetamol you can! You’re going to need them! More importantly, have fun, it’ll fly!